Environment Canada (EC) misled the country on global warming, which caused massive unnecessary expenditures, cost thousands of jobs, destroyed businesses and industries, and devastated communities at all levels. 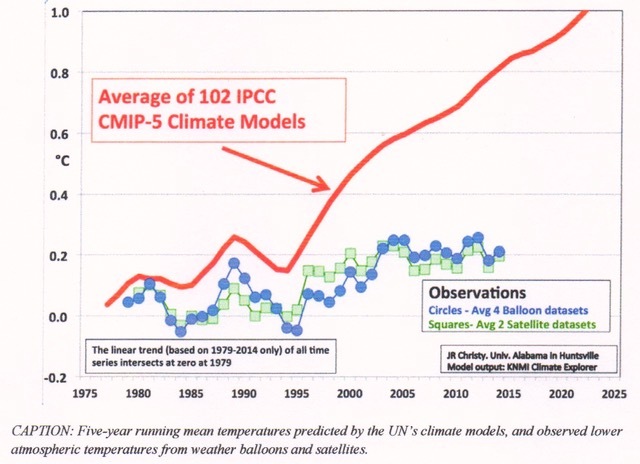 Meanwhile, their forecast accuracy beyond 48 hours has not improved; they abandoned medium forecasts (three months to one year) after results that were worse than a coin toss; and all long-term forecasts since 1990, based on their membership in the UN Intergovernmental Panel on Climate Change (IPCC), were wrong. John Christy presented the evidence in his congressional testimony (Figure 1). 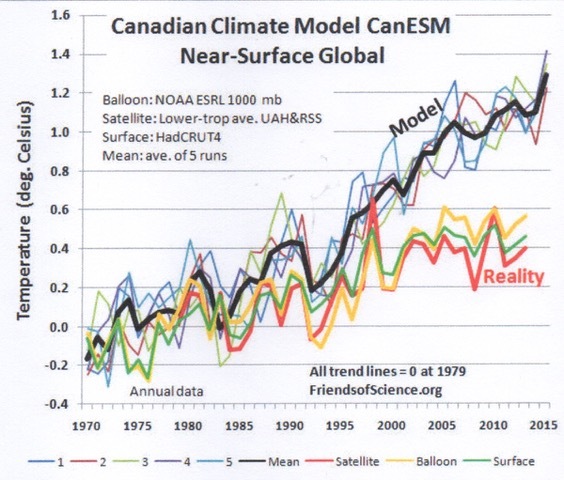 In fact, the Canadian climate model forecasts that were part of the 102 IPCC CMIP-5 Climate Models result was the worst of them all as Ken Gregory showed (Figure 2).